.375" high blade lets you zero the Model 96 Swede and others to point of aim. Square post blade gives an easy-to-see, well defined sight picture with issue rear sights. Plenty of extra material so you can file and shape the blade to original contour or a custom shape. 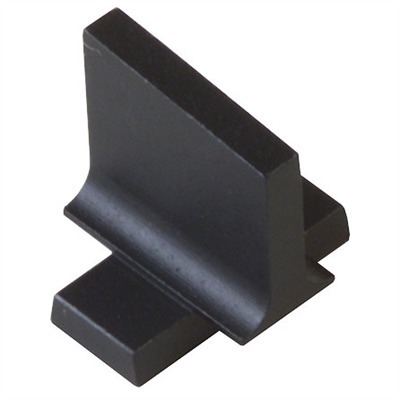 5.26mm dovetail fits the Mauser front sight base. Fits most Mauser 91 through 98 rifles with military sight base. SPECS: Steel, blued, matte finish. .077" (1.9mm) wide, .375" (9.5mm) high above 81° x .207" x .081" dovetail. May require minor fitting.